The Rush V Pro School is a simple, affordable and durable ram-air depower trainer kite. 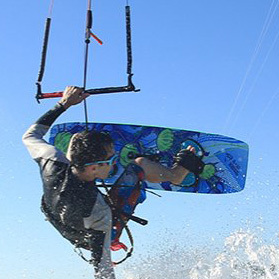 It is an ideal kiteboarding trainer for schools, operating and functioning the same as larger depower kites. The Rush School trainer is responsive, smooth and stable. The 3m size has just enough power to ensure beginners will be ready to progress to the next level. The Rush School works with a sheetable bar system, allowing an easy progression onto a larger depower kite after learning the basics. Excellent Service. Exactly what I was looking for.